Wisdom of Life. : Singapore here i come. Upon reaching home from Vietnam, I drove down to Singapore yesterday. Is quite awhile i had seen my few young friends over there. They are my lovable grandsons who naughtily address me as 'kok kok', in Chinese it means bigger brother. No joke! They do call me as brother, which makes me at par with them. This morning when I went out for my early breakfast around the market place, I could see the smiles and joy of the Singaporean. The vibration is still as strong as ever and i don't think the current world's melt down as any effect to the people. Comparing to the Vietnamese who has more younger people, Singapore has more older foes to care for. Strongly i believe the Vietnamese produces more children than the Singaporean. Though Singapore is small in size with a much lesser population than Vietnam, the per capital income here is relatively high. Singapore has advanced well ahead of most neighbouring countries because they too had been working very hard for many decades. Currently with a brainy nation of intelligent people, they are successful and well recognised throughout the world. Today Singaporean uses their mind more than their physical, whereas the Vietnamese depends mainly on physical strength than anything else. 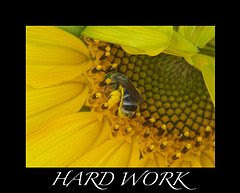 With what I see and learn during these two trips; to be successful in life one has to be intelligence and to work hard. With intelligence you work smarter to gain the extra miles, otherwise you have to work harder and longer to see the far end of the result.